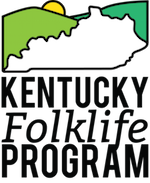 Kentucky Folklife Program – Page 2 – Documenting, presenting, and conserving the diverse traditional culture and heritage of the Commonwealth. Join us for the Horse Cave Heritage Festival! We're excited to announce our 2018 line-up for "Chattin' on the Porch" at Horse Cave Heritage Festival! Join the Kentucky Folklife Program and WKU Folk Studies at Horse Cave Heritage Festival on Saturday, September 15, 2018 for our annual Chattin' on the Porch Narrative Stage. The stage is located in front of the Historic Thomas … Continue reading Join us for the Horse Cave Heritage Festival!